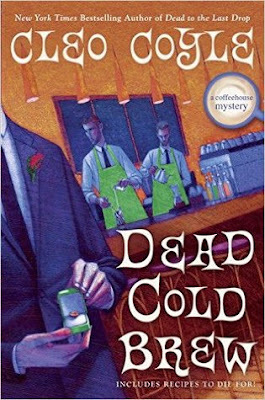 From Cleo Coyle, the New York Times bestselling author of Dead to the Last Drop, comes a gripping new entry in the Coffeehouse Mystery series. After everything Clare and Mike have been through, they deserve a little bit of happily ever after. So when Mike decides to put a ring on Clare's finger, Clare's eccentric octogenarian employer is there to help. She donates the perfect coffee-colored diamonds to include in the setting and the name of a world-famous jeweler who happens to be an old family friend. But while the engagement is steeped in perfection, the celebration is not long lived. First, a grim-faced attorney interrupts their party with a mysterious letter bequeathing a strange, hidden treasure to Clare's daughter. Next, the renowned jeweler who designed Clare's ring is found poisoned in his shop. Both events appear to be connected to a cold case murder involving a sunken ship, an Italian curse, a suspiciously charming jewel thief, and a shocking family secret. With deadly trouble brewing, Clare must track down clues in some of New York's most secret places before an old vendetta starts producing fresh corpses. This book starts out aboard the Andrea Doria and a couple fighting when the woman kills her husband as the boat is sinking. What happens next is crazy! Matt informs Clare that the Village Blend is in a coffee competition to serve a wonderful copy on the newly built Andrea Doria. Which Clare knows is a bad omen rebuilding a sunk ship. While this is going on someone is targeting New York's finest. Which has Clare worried. As the book progresses Madame begins acting bizarre in Clare's descriptions, and when she disappears Matt and Clare wonder what's up. 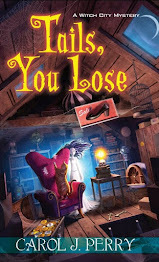 Will they figure it out in time or will Clare have downed her last cup of coffee? This book was everything we've come to love about Cleo Coyle. The ups and downs Clare goes on while trying to root out bad guys. Then there is the old mystery of the Andrea Doria a beautiful ship that went down near the coast of Nantucket. This book really centers on the Allegros and Campana families and what happened that day of the tragic sinking! I enjoyed going and seeing everyone at Village Blend who make small appearances along with fellow officers who pop up in Clare's life. 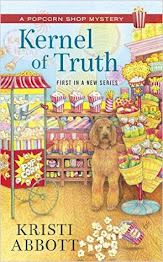 Such a fun book and can't wait to see what is next for The Village Blend! That sounds like a great book. I haven't read any books in that genre before, but I'm trying to branch out this year and explore new genres.